The forthcoming Conference and Annual General Meeting, organized by the Harokopio University of Athens, will take place 5-7 October 2017 at the Harokopio University, situated near the centre of Athens and close to many important cultural sites. Ancient Greek art has exerted a considerable influence on European art. Ancient Greek History, Mythology and Culture became a favourite source of inspiration of European art. More precisely, funerary architecture and sculpture were deeply inspired by Ancient Greek art. 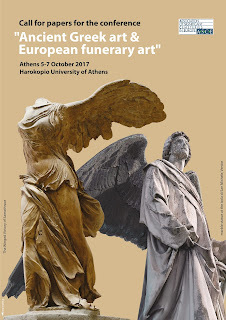 Athens is the ideal city to examine in situ (in the original place) the close connection between Ancient Greek and European funerary art. 1. Funerary monuments inspired by the Art of the Antiquity. 2. Symbols, motifs and allegories in funerary art. 3. Cultural and educational routes in Cemeteries - Cemeteries and the society. The topics of the presentations should be associated with one of the above thematic axis. Speakers must present in English, with visuals, a presentation lasting 15 minutes. The Conference will also include workshops, cultural events and visits in cemeteries. Speakers should forward their abstract (about 300 words) for consideration to the Editorial Board. Due to limited schedule there will not be able for all the proposed papers to be accepted for presentation. The editorial board will check and select the most representative abstracts and will invite the authors to present their work at the conference. Selected papers, after evaluation, will be included in the Conference Proceedings, which will be available online. Publishing norms will be announced. 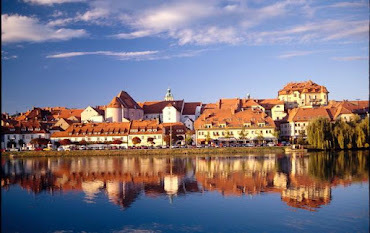 Regarding accommodation, there will be specific information about recommended hotels. Send your abstract to editorial board emails you can find below. Conference Participation fee is 25 euros. If you have any questions, please contact the editorial board.